We’re all set for what could well be the most pivotal weekend of the season so far, with a host of huge fixtures to look forward to in the coming days. 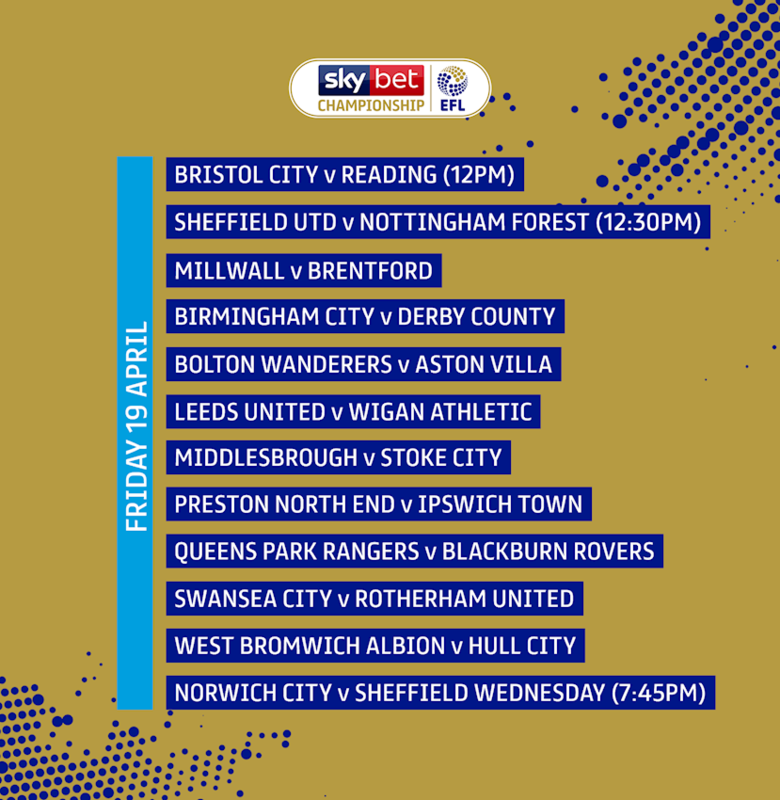 It’s another massive weekend in the Sky Bet Championship, with promotion and relegation on the cards. Defeat for Sheffield United in Friday’s early kick-off would open the door for Norwich City to reach the Premier League the same evening. 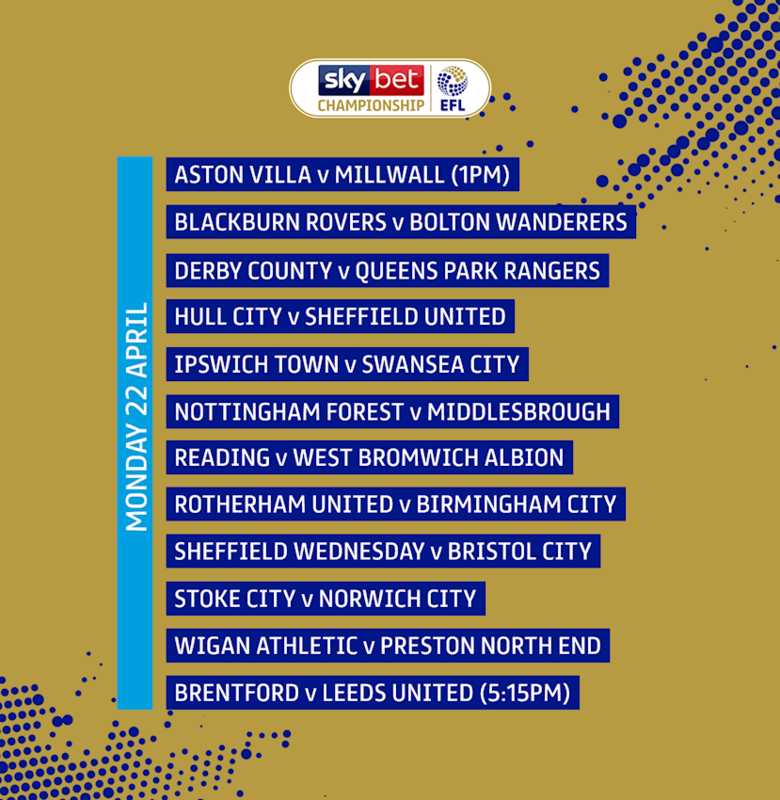 Meanwhile, at the other end, Bolton Wanderers must better Wigan Athletic or Millwall’s respective results to avoid following Ipswich Town in being relegated. 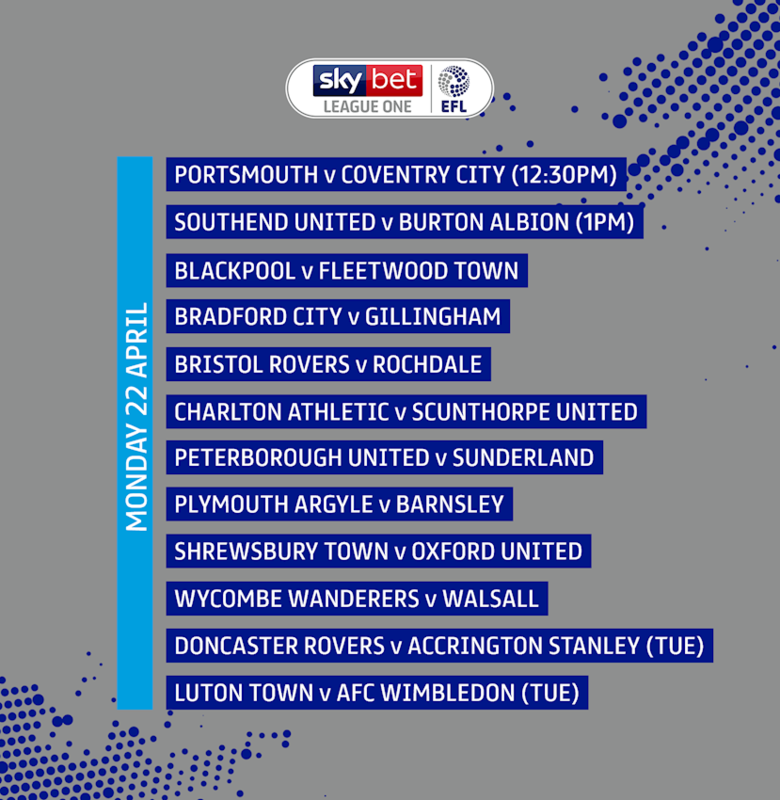 Friday’s results could have a big impact on Monday’s permutations too, and you can follow all of the action via @EFL on Twitter. 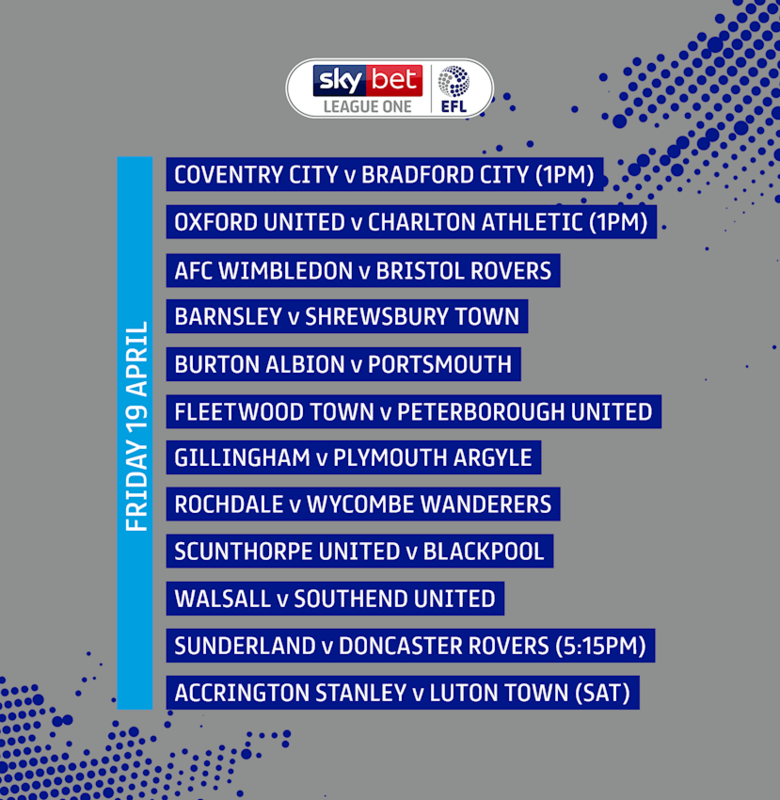 While things are too close to call at the top, Bradford City must beat Coventry City in the early kick-off, or face being relegated to Sky Bet League Two. Just three points separate Barnsley in second and Charlton in fifth, meaning points are priceless, and it’s even closer at the bottom, with three points between the five sides directly above Bradford. This weekend could go a long way to deciding who goes up and who goes down. 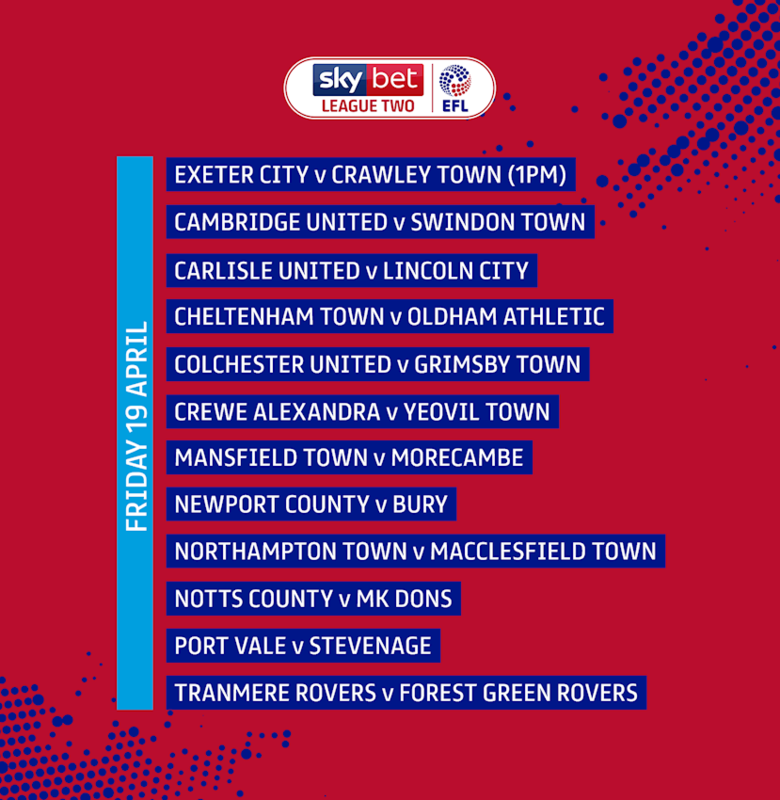 Lincoln City became the first EFL club to achieve promotion last time out, and know that a win at Carlisle United would secure them the title with games to spare. 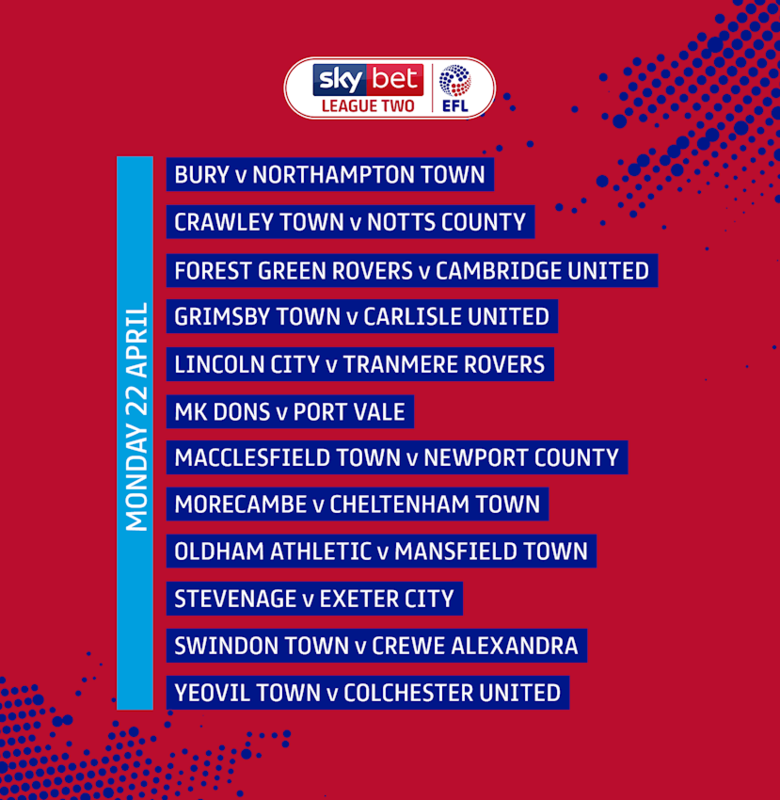 With things tighter than ever, no other sides can be promoted or relegated on Friday, but Monday could well be an intriguing one, depending on earlier results.